Looking for a clean design concept that would make this space feel more spacious. Like the idea of having bookshelves on both sides of the fireplace. All floors would be sanded - will need help in choosing a color to refinish them throughout. Considering an idea of drapes. Need a new fan. Would be nice to keep the couch (as it pulls out into a bed), but need more seating, so adding chairs could be a benefit. Looking to accent the fireplace more. The piano could be moved here if the design allows for it. 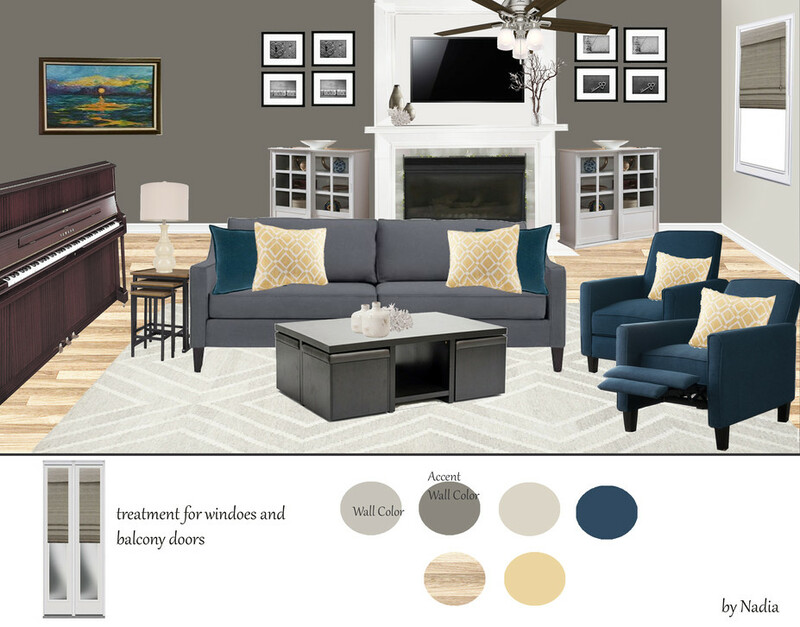 Overall, hoping to achieve a warm, inviting feel with an organized color scheme of neutrals + some accents in blues and possibly warm, soft yellow shades. Hoping to get a full design with attention to decor and artwork (can keep some of the existing). 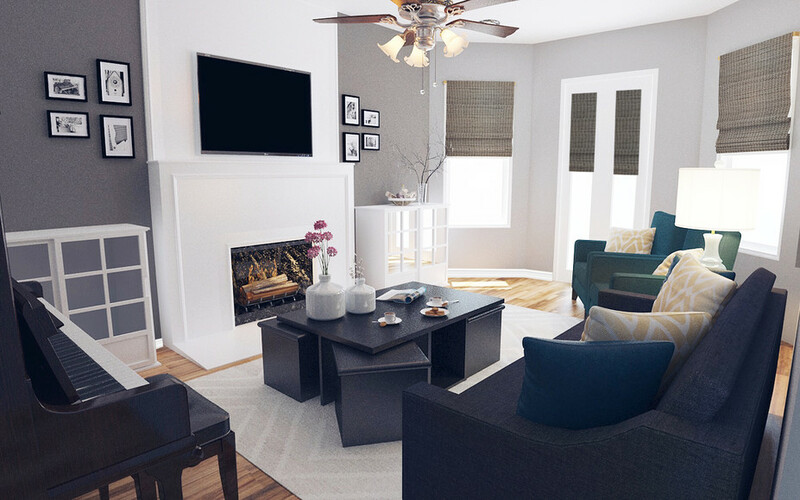 For your main color, we chose to use warm gray because it is neutral and seen as elegant and classy. It compliments many colors such as white, blue, and yellow and works well as part of a color scheme in any room. Paidge Sleeper Sofa (In Marble Microfiber - Granite) Discount link available to project holder only 80.5"w x 38"d x 34.5"h.